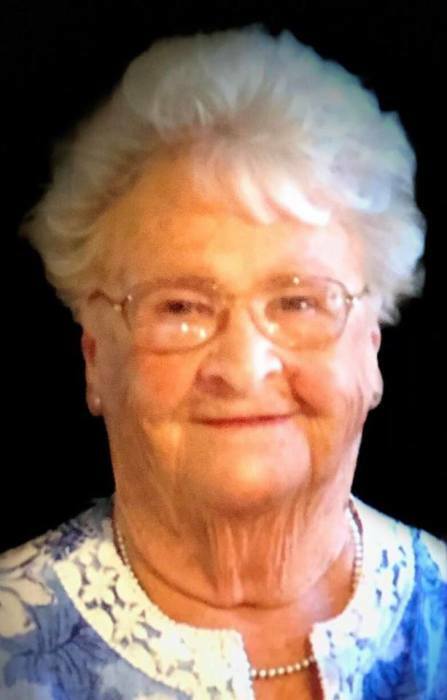 Lorene Mills, age 92, passed away Monday, February 4, 2019, at her residence. She was born July 26, 1926 to the late Lucian and Bertha Sparks Pack in Job, KY. In addition to her parents, she is preceded in death by her husband, Ersel Mills, two brothers: Willis Pack and Ransom Pack, and three sisters: Ethel Mills, Jean Kelly, and Irma Mae Pack. She is survived by two sons: Eddie Joe (Pat) Mills of Inez, KY and Terry Walter Mills of Ulysses, KY, two daughters: Karen Ann (Eddie) Williams and Ronda Gay (Nelson) Sumpter, both of Inez, KY, one brother: David Pack of Grove City, OH, and four sisters: Elenor Kliaber of Russell, KY, Wanda Dye of Michigan, Anette Perry and Jewell Combs, both of Florida. She is also survived by 11 grandchildren: Jodi Mills, Rhea Mills, Terry Joe Mills, Vanessa Allen, Jack Lee Blackburn, Ritchie Luster, Phillip Williams, Josh Williams, Billy Sumpter, Ryan Sumpter and Nick Sumpter, 17 great grandchildren and 1 great great grandchild. Funeral services will be held at 11 AM on Thursday, February 7, 2019 at Turkey Creek Church of the Nazarene with Dr. Garrett Mills presiding. Burial will follow in the Mills Horn Crum Cemetery, Turkey Creek, KY. Friends may visit at the funeral home on Wednesday from 6 to 9 PM. Arrangements are under the direction of Crum Funeral Home of Inez, KY.